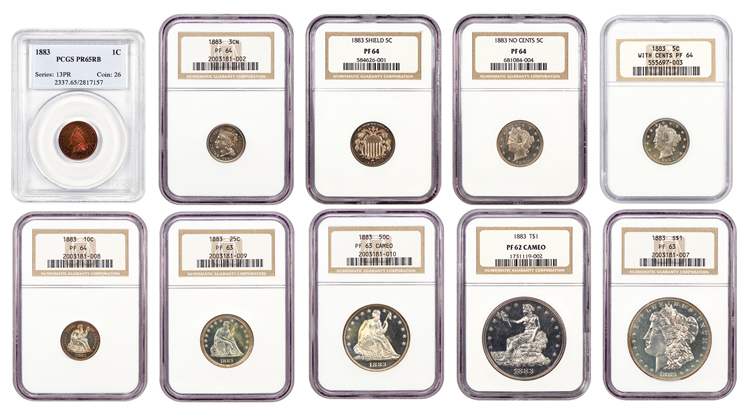 Our first highlight is an 1873 Proof Set PCGS/CAC Proof 62-66 (14 Coins Total). This rare matching proof set consists of: 1c PR64RB (Closed 3), 2c PR63RB (Open 3), 3cN PR64CAM (Closed 3, CAC), 3cS PR63, 5c PR64 (Closed 3), H10c PR66 (CAC), 10c PR63CAM (No Arrows, Closed 3), 10c PR64CAM (Arrows, CAC), 25c PR Genuine UNC Detail (Polished, Arrows), 25c PR65 (No Arrows), 50c PR62CAM (Arrows), 50c PR64CAM (No Arrows, Closed 3), $1 PR64+CAM (Seated), T$1 PR62CAM (Trade). The 3cN, H10c, and 10c (Arrows) are CAC approved for quality. 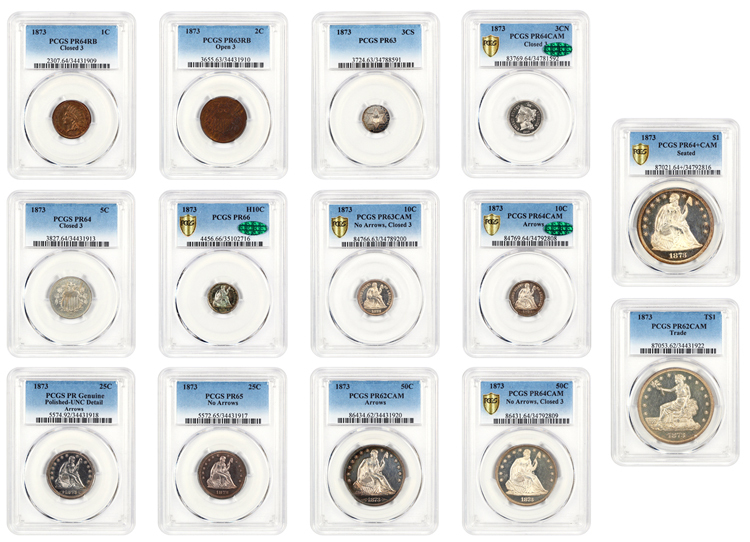 This week's second highlight is an 1883 Proof Set PCGS/NGC Proof 62-65 (10 Coins Total). This scare matching proof set consists of 1c PR65RB, 3cn PR64, Shield 5c PR64, No Cents 5c PR64, With Cents 5c PR64, 10c PR64, 25c PR63, 50c PR63CAM, T$1 PR62CAM, $1 PR63. All but the 1c are NGC. 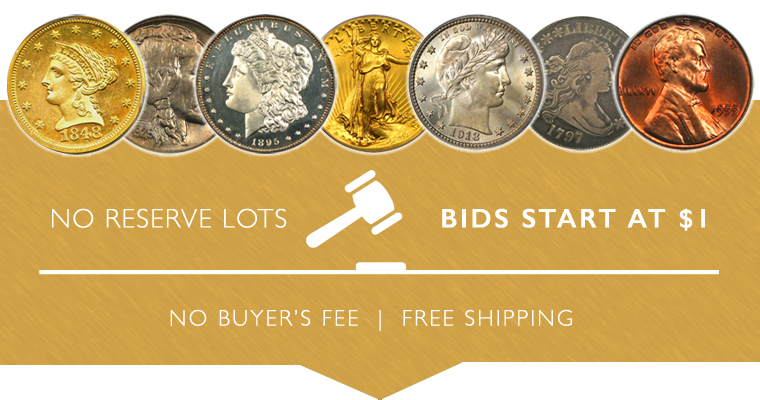 Of course there are many other highlights, so be sure to browse all lots in this exciting new sale before it closes on Sunday, August 12th.